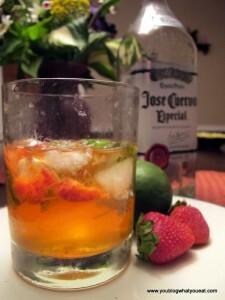 A remix of the Summer of Tequila cocktail, this one involves delicious fresh strawberries. Tequila is delicious with lime. This cocktail is summery, refreshing, and slightly sweet. Muddle strawberries and the juice of 1/2 a lime with some fresh cilantro. 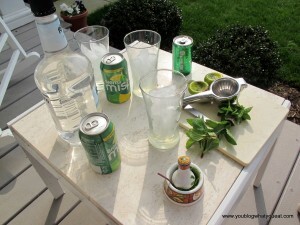 Add to tequila, over ice, and top with your fizzy drink of choice: club soda, sprite, or ginger ale. Bottle of (cheap?) Champagne? Check. Now all you need is a bottle of awesome ginger liqueur! 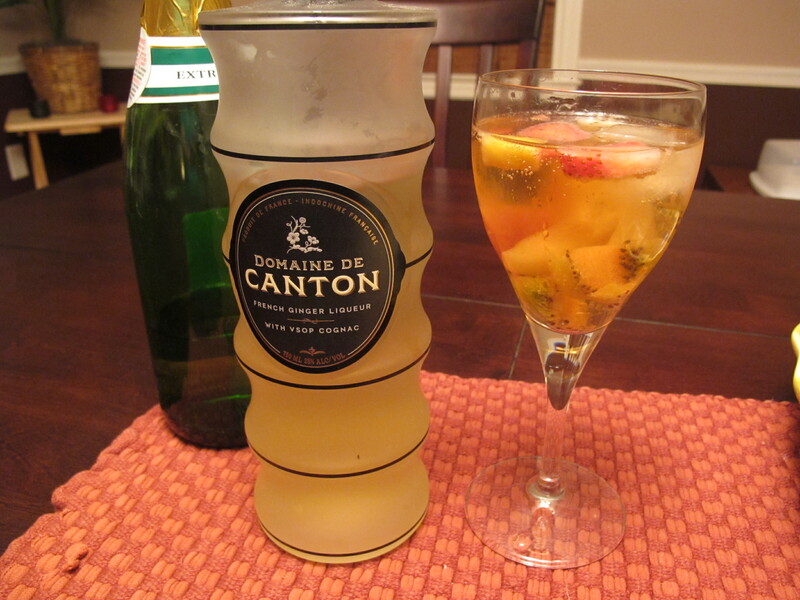 This bottle of Domaine de Canton isn’t the cheapest, at about $30 a bottle, but it goes a long way, and is great for making innovative cocktails. A little sweet ginger liqueur is also great to spruce up a glass of white wine. 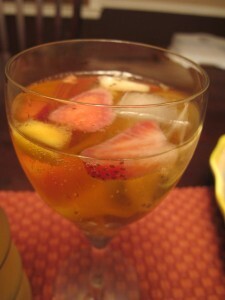 This cocktail really was the result of some leftover fruit salad from a party, combined with my ginger addiction. It turned out to be delicious! Add all ingredients to a glass. 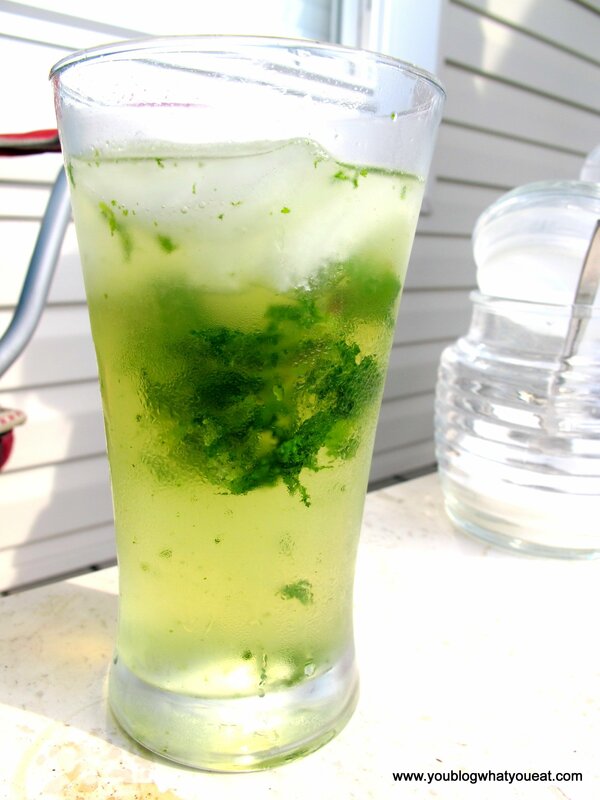 Optionally garnish with a spring of mint. Mojitos are a quintessential summer cocktail. Sweet, flavorful, and refreshing, these cocktails are often mixed poorly by bartenders who lack access to fresh ingredients like mint and lime. Simple syrups, sour mix, and inadequately-muddled mint can turn a good cocktail into a sugary mess. Learn how to make your own and keep this recipe in your back pocket for summer cookouts. 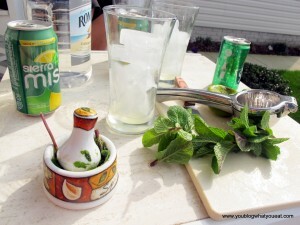 There are a lot of ways to make Mojitos. If you want a good mojito, it’s not about fancy rum. 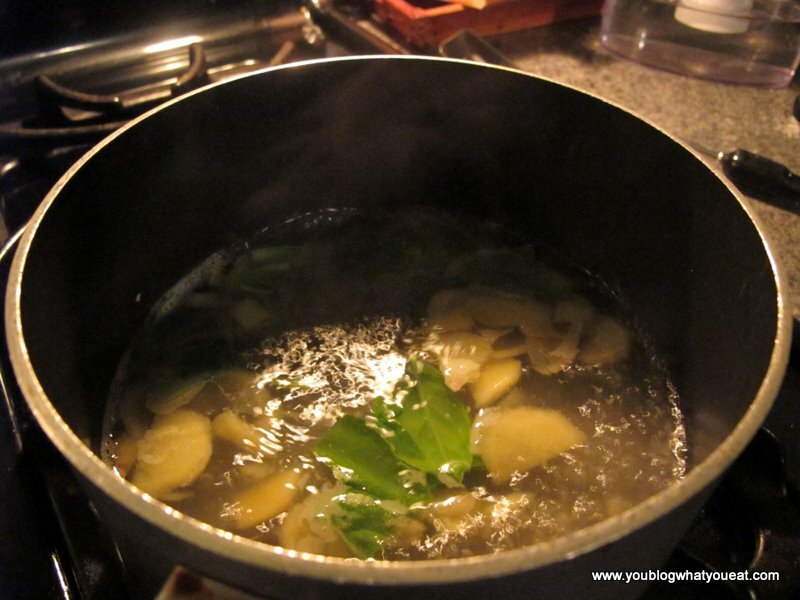 It’s about using fresh mint and a little elbow grease. 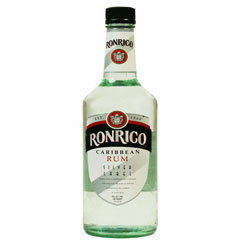 I use none other than Ronrico..silver Caribbean rum–just $15.99 at my local liquor store for 1.75L. Before you judge, try it. 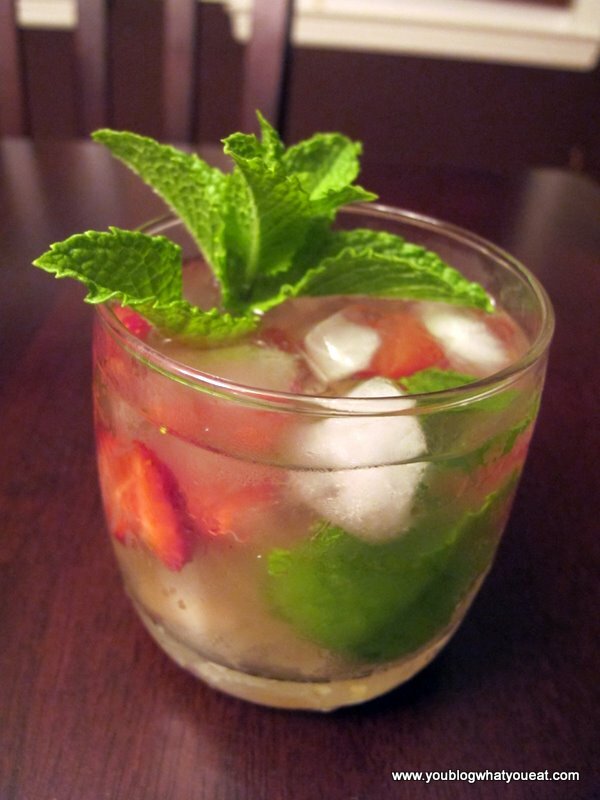 You’ll go through a lot if you make these Mojitos so you might as well save a few dollars! Use a muddler or mortar & pestle if you have one, or if not, a mug and something to mash the mint with (the handle of a crab mallet has served me well on many occasions). 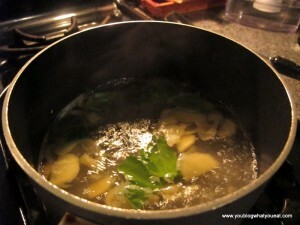 Add 1/3 tsp sugar and a little squirt of lime to the mint and muddle until thoroughly bruised. Fill glass to 1/2 full with rum. Depending on how your ice is arrayed in the glass you’ll get more/less alcohol, so scale according to preference. Juice the rest of the 1/2 a lime into the glass with a citrus juicer. After muddling, some of the mint/lime/sugar flavor may be stuck in the container you bruised it in. Add a splash of soda to that container before pouring the mint mixture into your glass to help transfer more of it. 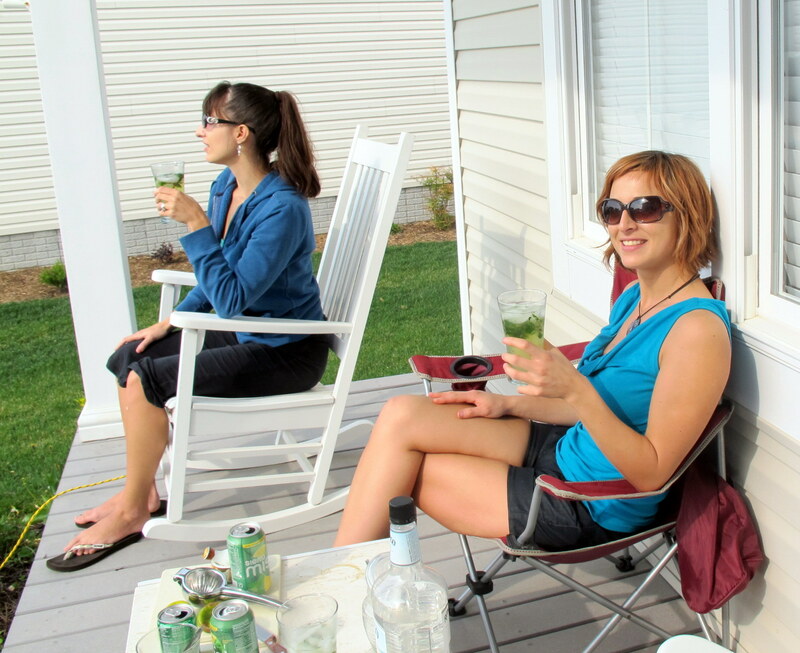 You can twist a Mojito recipe by adding a little muddled cucumber to make it even more refreshing. This drink works out to be delicious even without alcohol. Substitute club soda, tonic, fizzy mineral water/seltzer, or a combination of all three (depending on how sweet you like your drink). For years, I have struggled with my lactose intolerance 🙁 Without sharing all of the ugly details, I’ll just say that drinking milk causes some intense gastrointestinal issues. 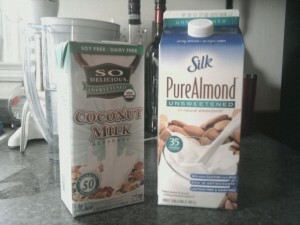 Because I switched to almond milk, I can enjoy cereal and coffee without bloating and painful stomach issues. Almond milk doesn’t give your coffee the same creamy color as a few splashes of half and half, but it suffices as a milk substitute and it adds a sweet and nutty natural flavor to any dish. I find it much tastier than soy milk. It’s not chalky. It’s super creamy and it serves well in a variety of dishes when a recipe calls for milk or in a glass alongside a delicious sweet treat like cookies or a pastry. I also bake with it. I’ve used almond milk to make vegan alfredo sauce and ice cream. Do your research. Some people prefer soy milk and rice milk. I’ve heard about oat milk and hemp milk. They other night, I tried coconut milk in a recipe with a friend. If you have an allergy to dairy products and are searching for milk substitutes, these healthy alternatives might be worth the inquiry.